We have 4 classic vehicles for you to choose from. A 1937 Rolls Royce, 1950 Rolls Royce, 1963 Bentley and 1987 Rolls Royce. These vintage vehicles are the head of the class when it comes to wedding transportation. We will pick up the bride and her parents and deliver you in style to your ceremony. At this time our tuxedoed chauffeur will lay a red carpet down for your entrance. After the ceremony, your red carpet will be waiting for you and your new husband and our chauffeur will present you with a champagne toast. Pictures with these vehicles are a photographers’ dream. 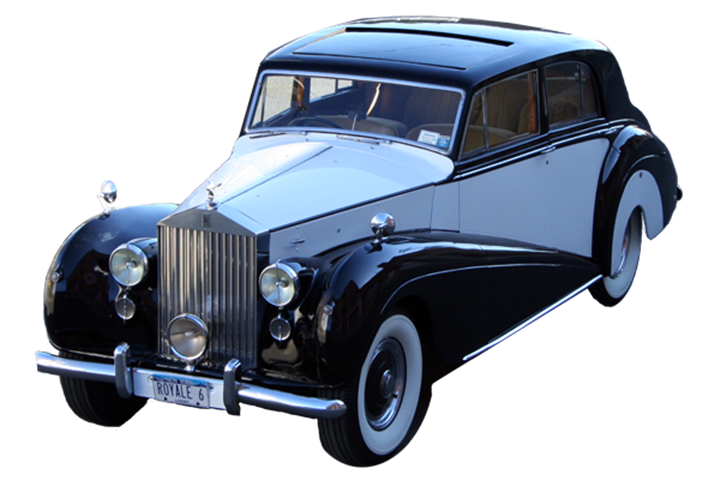 These classic cars are perfectly complemented by our other luxurious limousines for your family or bridal party. Call now to put down a deposit on one of these vehicles as they are very high in demand and sell out fast.